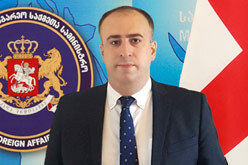 On 2 March 2016, at the 1249th meeting of the Ministers' Deputies of the Council of Europe, Permanent Representative of Georgia to the Council of Europe Konstantin Korkelia presented the fourth quarterly report of the Georgian Foreign Ministry on the human rights situation in Georgia’s occupied regions covering the period of October-December 2015. In his speech, Konstantin Korkelia focused on the violations of human rights in Abkhazia and the Tskhinvali region and underlined the necessity of carrying out monitoring of the Council of Europe in these territories. Twelve member states of the Council of Europe made statements supporting Georgia’s sovereignty and territorial integrity and expressed their concern over the heavy situation in Georgia’s occupied territories. The importance for humanitarian organisations to have unimpeded access to these territories was also underlined.